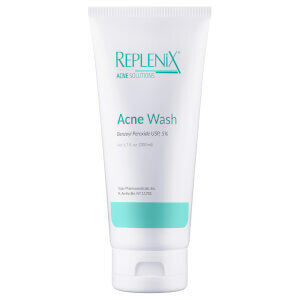 Achieve clean, unblemished skin with the Replenix Acne Solutions Benzoyl Peroxide 5% Acne Gel. 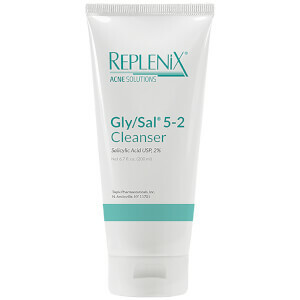 The gentle acne treatment contains antibacterial Benzoyl Peroxide USP to help unclog pores, combat spots and prevent any future blemishes forming. Suitable for pediatric, adolescent and adult skin, the acne cream lifts away dirt, oil and impurities without taking away moisture from the skin, leaving the complexion hydrated, fresh and healthy-looking. Free from gluten, parabens, oils and fragrances. Hypoallergenic and non-comedogenic. Benzoyl Peroxide 5%, Carbomer, Purified Water, Sodium Hydroxymethlyglycinate, Sodium Lauroyl Sarcosinate.